I guess that most of us diehard campers have a dream campsite that seems to have avoided us for years. For me, Riemvasmaak in the Kalahari is one such place. But I was determined to get there, come hell or high water! I was booked to join Jannie Rykaart of Protea 4×4 Adventures on his yearly flower trip to Namaqualand. Jannie had arranged a brand-new Mitsubishi Outlander which I would collect in Joburg, and then head out with Jannie and his wife Ansu to Kakamas where we would meet the rest of our tour group. 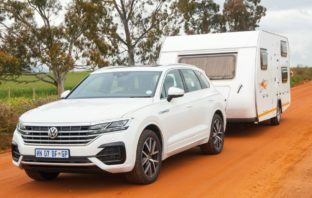 I spotted a possible gap for some extra camping… if I could get the Outlander a few days early, I could finally camp at the magical, mystical Riemvasmaak. I phoned Jannie, and he managed to get the Mitsubishi five days earlier than planned. When boarding my flight in Cape Town, I realised I was in trouble – my throat felt like I’d gargled with wasps, my nose was streaming and I was coughing like a 30-a-day Texan Plain smoker. But, if I can camp, I’m going to camp! 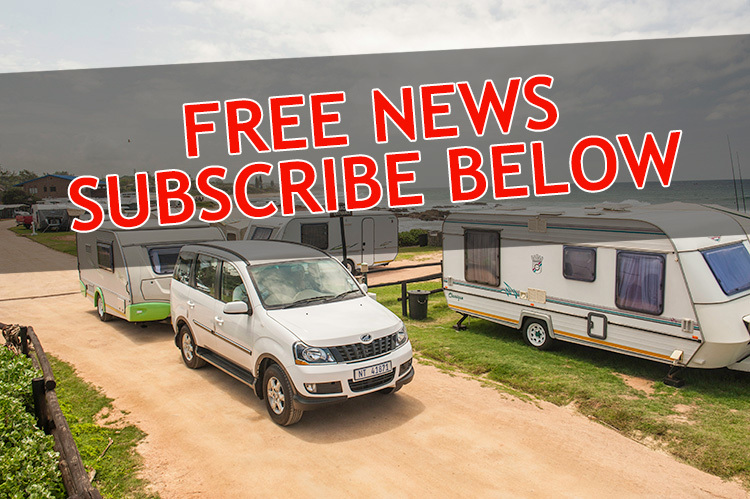 It’s quite a long way from Johannesburg to Kakamas, just south of Riemvasmaak, so I stopped over at the Boereplaas Holiday Resort on the Mafikeng Road, some 19 kilometres from Vryburg. I was feeling ill, and was lucky to meet an angel here by the name of Catherine Snyders. It’s expensive stuff, yet this kind lady was willing to share her medicine with a total stranger. I was sad that I was leaving the next day, as I would have loved to spend more time talking to this kind-hearted woman about her life in the Kalahari. Boereplaas is a 2 200 hectare farm which has belonged to the same family for the last forty years. 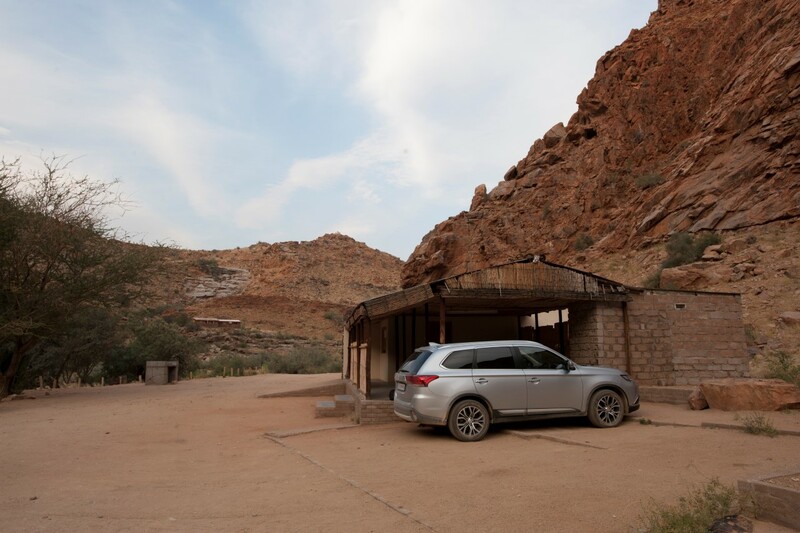 The resort is neat, well run and safe, and is an ideal stopover for Gautengers making their way to Namibia or the Richtersveld. The campsite is split into a large, and a smaller, camping area. Both of the areas offer grassed stands with good shade. 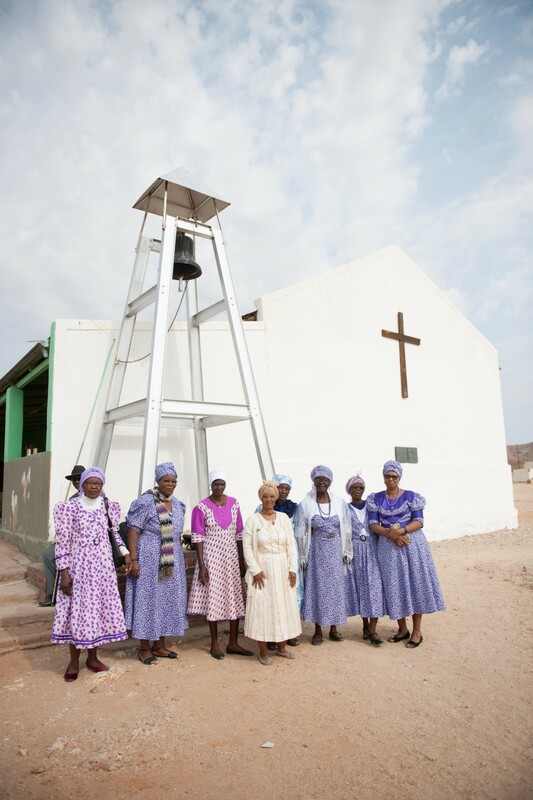 The stands all have power, and drinkable water at the nearby shared taps. There’s also a small restaurant, where I had an excellent slap-up breakfast before hitting the long road to Upington and (finally) to Riemvasmaak. 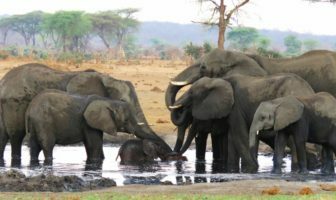 There is game on the farm, and one can organise a game drive. There’s also a small play park for the kids. 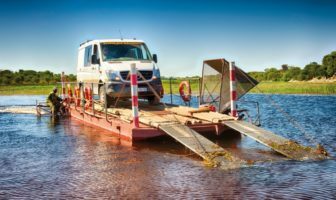 I had originally planned to leave the N14 to go to up to Hotazel, Van Zylsrus, Askham and the Molopo River. I had done this trip with an old Honda scrambler many years ago. It’s the real Kalahari, but the lurgy was still knocking the stuffing out of me; so, from Vryburg, I continued along the N14 to Kuruman, Kathu, Olifantshoek and Upington. It’s a relatively short hop from here to Keimoes, before heading due west towards Kakamas. Just before Kakamas, I took a good gravel road for the 57 kilometres to the small village of Riemvasmaak. 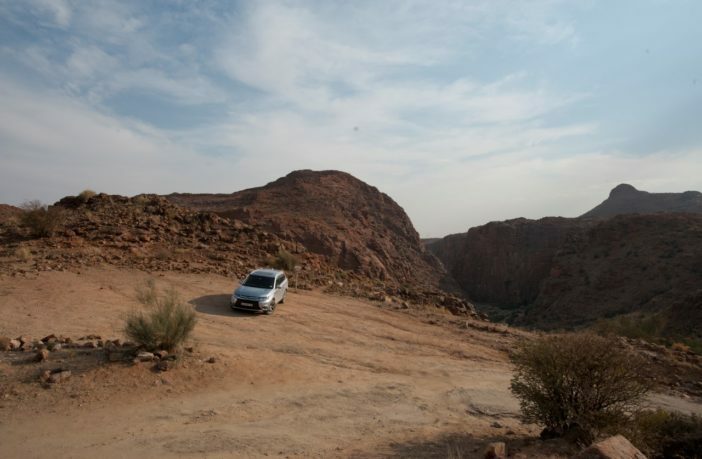 It’s a precipitous drive down through the heat-scorched sandstone cliffs to the Riemvasmaak Hot Springs camping site. I’m an old camper, so I told him that this was not a problem, as I wasn’t expecting electricity at all… in fact, I’d never imagined there’d be electricity down here, anyway. I quickly explained that I had 20 litres of fresh water in Outlander. I also had a bucket, so could easily collect water to flush the loo. I could write you a story about those three days spent at Riemvasmaak. That first evening, as the evening colours started dappling the high sandstone cliffs, there was sudden whooshing sound as something went flashing past. I was really startled. What was it? Then it was followed by wave after wave of what seemed like thousands of miniature drones! In fact, it was literally thousands of queleas coming to roost for the night in the reed bed down by the river. This was followed by the troop of baboons that seemed to occupy the cliffs on the other side of my new home. When darkness approached, there were a lot of grunts, groans and some scuffling, followed by the high-pitched screeches of a baby. Later that night, I heard a couple of boulders come crashing down, and thought I’d better move the Outlander to a safer spot in front of the office block. With the car protected from the ape landslides, I could really enjoy both my feathered friends and the other four-legged critters getting ready for bed. Plus, I’d broken the back of the flu. I had the whole of Riemvasmaak to myself. Not another soul in sight. I would wander down to the little hot spring and sit like a king, spying on my surrounding kingdom. The wealthiest oke on earth couldn’t have been more content than I was. For the cherry on the top, I stopped to photograph the start of a wedding in the village. The older women were speaking Nama. They were dressed in beautiful, traditional, long dresses. Many had come from Namibia. 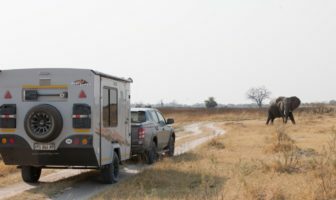 I had to turn down an invitation to the rest of the wedding, because more adventures awaited me at Kakamas, where I was to meet the crew from Protea 4×4 Adventures. The luxurious Vergelegen Guest House, where our group would be staying on our first night together, was a total contrast to my camping bed at Riemvasmaak. 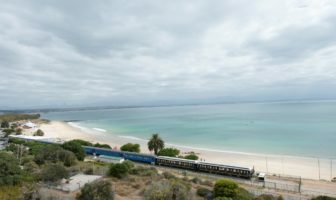 I was sipping a glass of complimentary sherry on the verandah when the team started arriving. First to arrive were our leaders, Jannie and Ansu Rykaart, followed by Pieter Visser and Elbie Wessels, Martie Hefer and her sister Riekie, and, lastly, Naomi Smook. 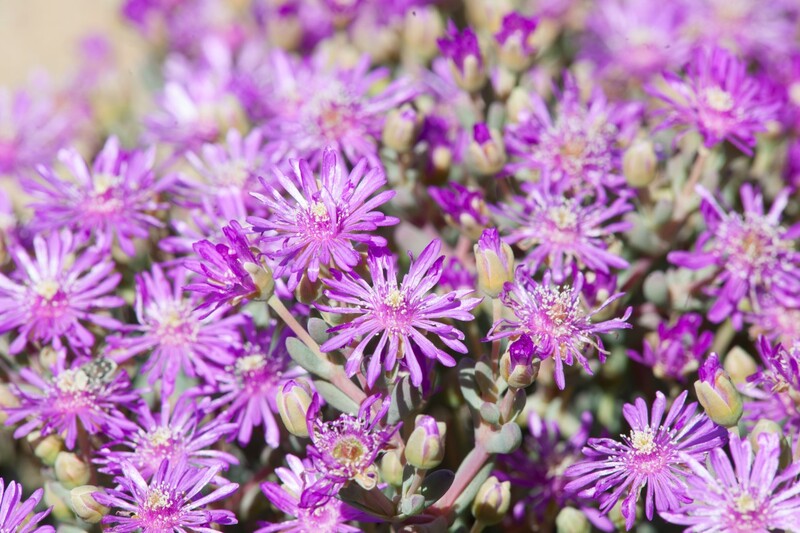 After an enjoyable night of food and wine, we headed west through the Kalahari towards Namaqualand and the Atlantic Ocean, and (we hoped)to flowers as far as the eye could see. I love the R14 from Kakamas to Pella. The reddish sand of the Kalahari, and the long black line of the tar seemingly disappearing to a dot on the horizon in front of you, is part of the beauty that surrounds you in this part of Africa. Jannie’s trips are never hurried, so there was no problem about stopping to take photographs. As a lone photographer, I often have the feeling that I’ve become a pain, holding up the convoy to take my photographs. Not on this trip. Pieter also keeps stopping for photographs. I was in my element as we trundled into the deserted streets of Pofadder. It was a Sunday, and Jannie had a surprise for us. As we walked into the dining room of the Pofadder Hotel, we saw that there was a table set with a white tablecloth. Filter coffee, tea, and plates of freshly-baked croissants awaited us. From Pofadder, we climbed back onto the R14 and continued for 24 kilometers before turning right at the signboard to Pella. 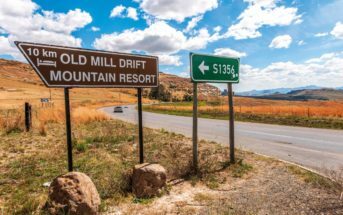 After some 300 metres on this road, we took a left onto a dirt road to our next port of call: the Klein Pella Guest House and Campsite. The campsite and guest house is situated on a farm belonging to the Karsten family. It is the biggest date farm in the Southern Hemisphere, covering 18 000 hectares on the Orange River between Pofadder and Aggeneys. There are two camping sites at Klein Pella, each with ablutions. (The smaller campsite had its own private bathrooms). The camp spots are equipped with electricity points, and share taps that are close at hand. The water is drinkable. The facilities are really first class: well shaded, with beautifully manicured lawns, and electrified. There are potable-water taps close by. 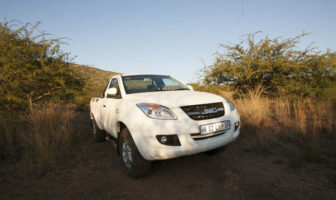 We spent two nights at Klein Pella, which gave us a chance to have a close look at the date-farming operation, as well as to take a 4×4 trip down to the Orange River. We also visited the small mission village of Pella. It is well worth seeing, but I assume the good priest was having his afternoon siesta, as the church was locked. There was still plenty of fun ahead as we trundled back down the long black line to Springbok. Starting almost from the mining town of Aggeneys, there were flowers in the run-offs next to the road. 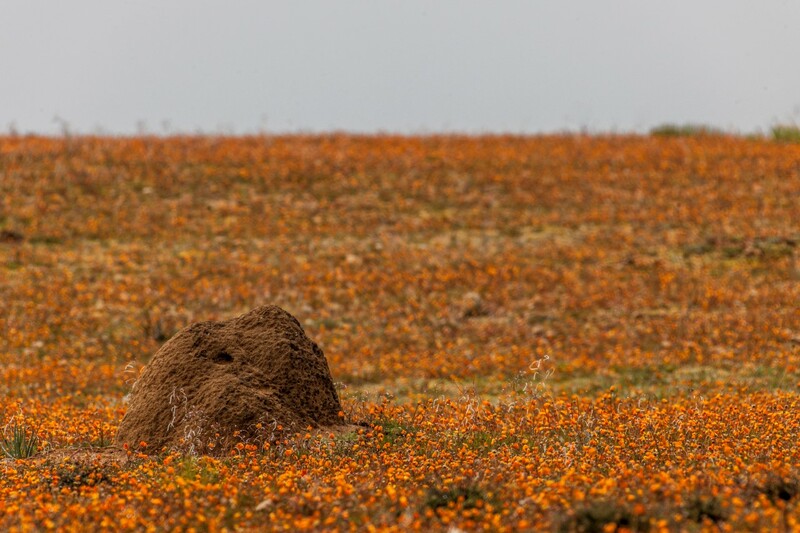 Scattered out in the veld were small clumps of flowers, but the huge masses one associates with the flower season in Namaqualand seemed to be over. 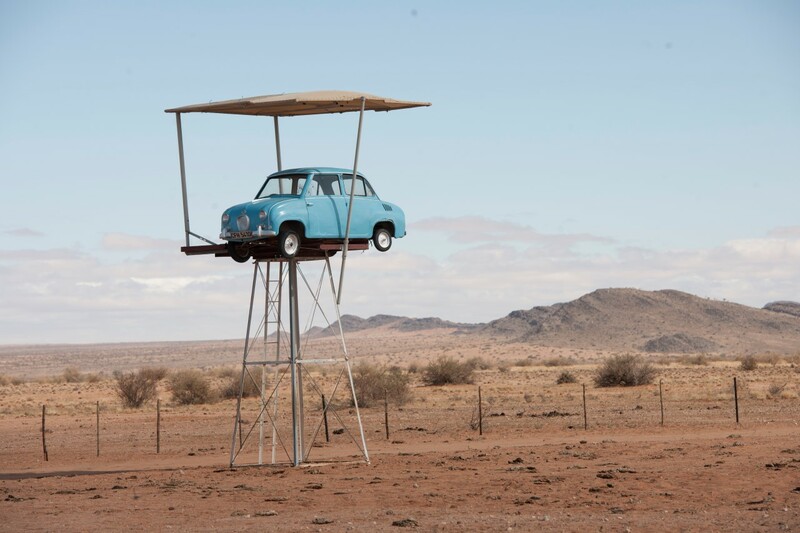 Perhaps because Namaqualand is welded into my DNA, this doesn’t bother me. It’s a life-changing place, flowers or not. My love of this area dates back to November 1971, when I thought I would hitchhike from Cape Town up to Tsumeb, in Namibia. I made it to Springbok, where I got a job as a barman at the Masonic Hotel in Springbok. I had the holiday of a lifetime. I’ve been in love with the area and its salt-of-the-earth people ever since. In fact, shortly after that, I worked for six years on the diamond mines in Oranjemund, just over the border. When you are on Jannie’s flower trip, you stay at the luxurious Daisy Country Lodge in Springbok for three days. 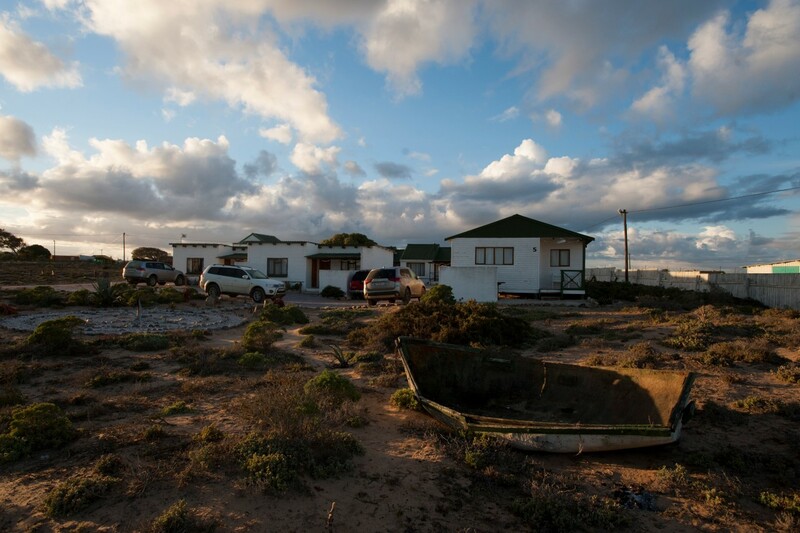 Springbok Caravan Park – 60 stands with water, electricity, braai, ablutions and swimming pool. 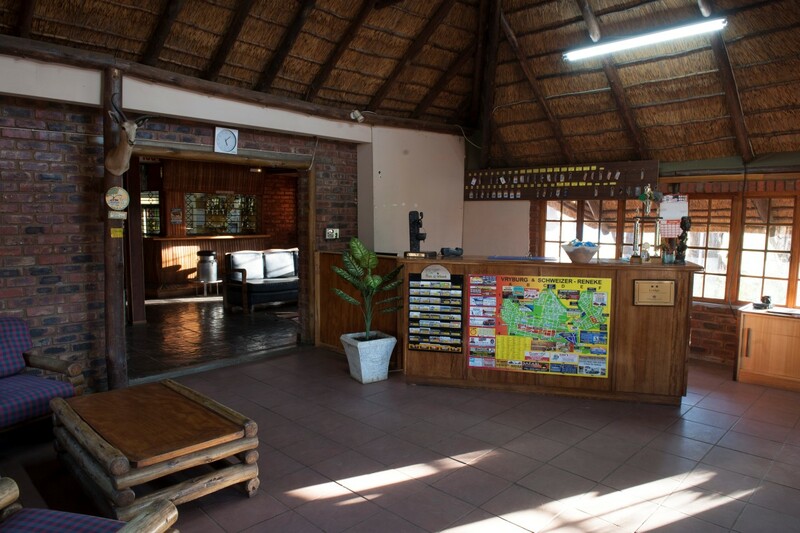 Namastat Lodge – 25 stands with water, electricity, braai, ablutions, kitchen and washing facilities. 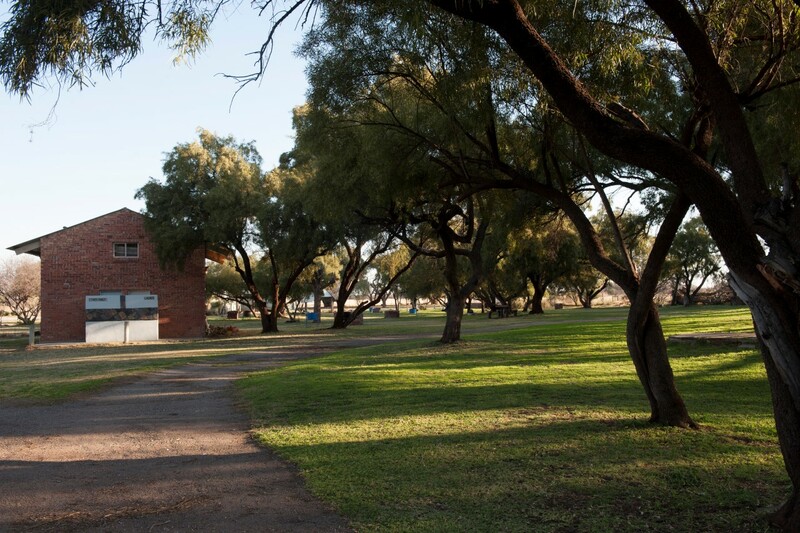 Kokerboom Motel and Caravan Park – 60 stands with water, electricity, ablutions and laundry facilities. 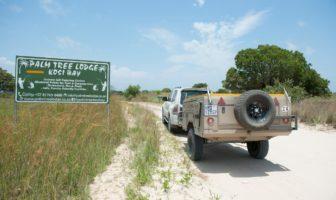 Goegap Nature Reserve – Bush camp with 7 stands. No electricity, but a gas geyser supplies warm water. 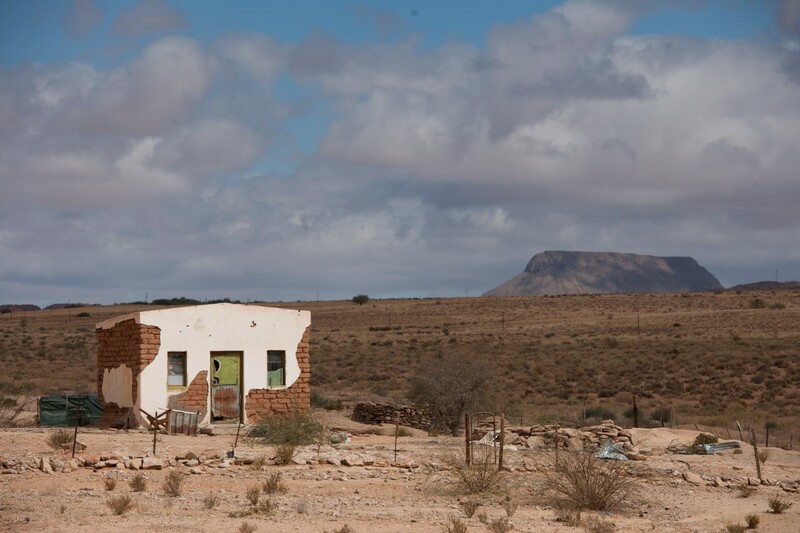 When exploring the area around Springbok, first on the list is a trip to the Goegap Nature Reserve, some 14 kilometres from the lodge. 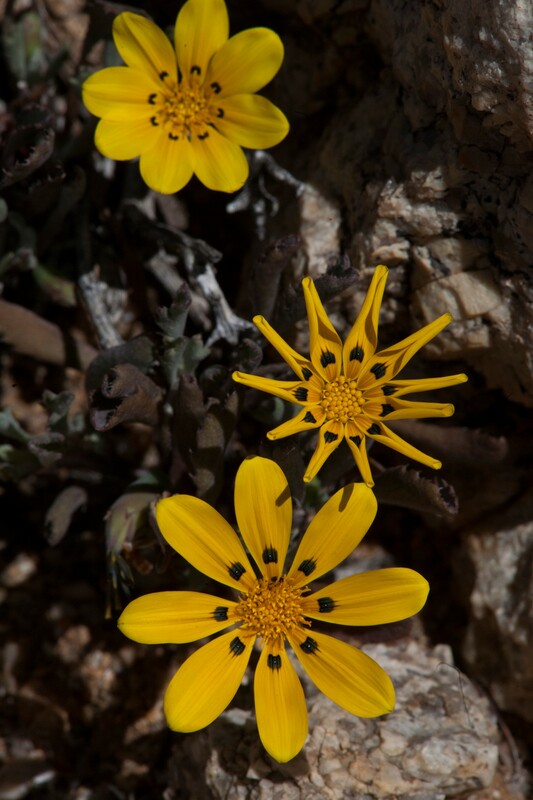 The best time to enjoy the reserve’s flower splendour is from late July, or the beginning of August, up until October. The reserve has 45 recorded mammal species, which include springbok, gemsbok, the endangered Hartman’s Zebra, and the aardwolf. For bird lovers, there are more than 90 species recorded, including black eagles, spotted dikkops and ground woodpeckers. 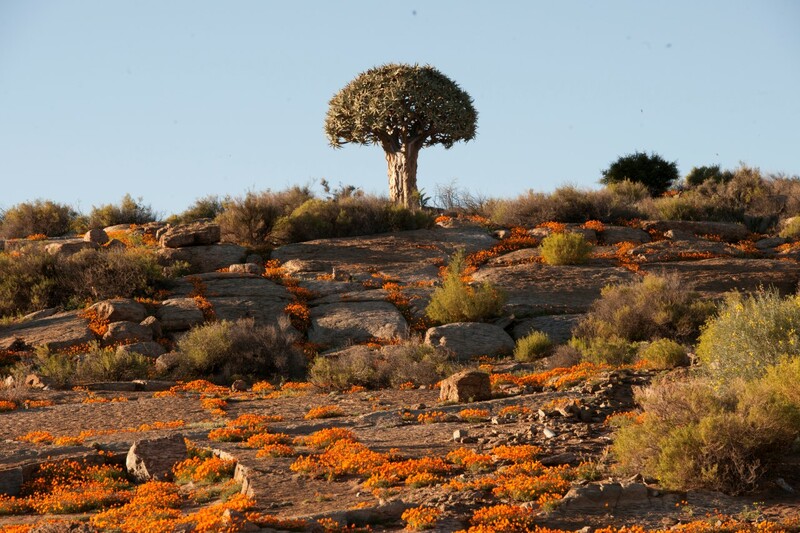 You have to get out and walk in the Namaqualand veld to get some idea of its magnificence. 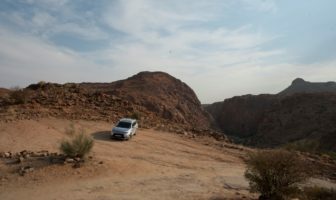 Later, exploring the old copper towns of Nababeep, O’Kiep and Carolusberg, we found tiny pockets of hidden spring flowers wherever we got out of the vehicles and explored. 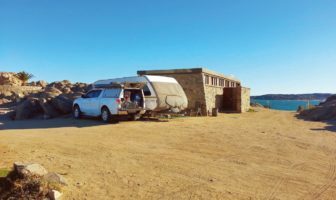 As always, I dreamed of having weeks instead of days to explore this fascinating area; but the ocean was calling, so we took leave of Springbok and headed down to Hondeklip Bay. We took a marvellous gravel road that took us through Mason’s Pass before leading us through the Wildeperdshoek Pass. Mason’s Pass got its name from the skilful masonry work in the dry-stone walling that you can still see today, when you drive through these majestic, bare, Namaqualand mountains. 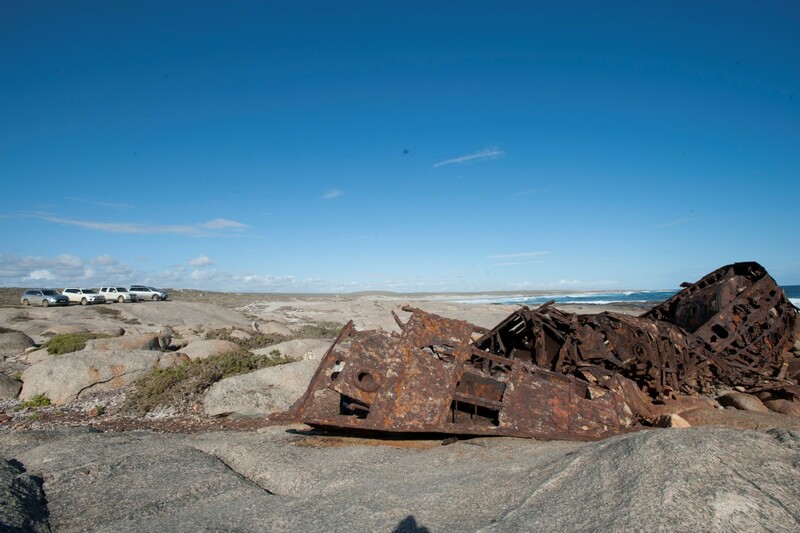 This was the road used by the early riders who transported copper ore to the small harbour at Hondeklip Bay. This small winding gravel road gets more scenic the further you drive. It leads you down a steep descent (covered in aloes and succulents) to a valley, and eventually to the scrubby tree-lined banks of the Buffels River, before ascending the mountain once more. 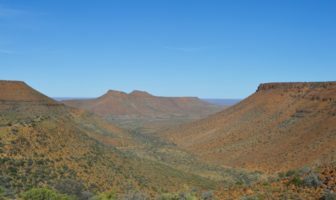 The pass continues until you go through a large cutting, when suddenly, lying far below, you see the flat scrublands of the Namaqua National Park. If you suffer from vertigo, don’t look out of the window, as the track winds dizzily down to the low bush-covered flats at the bottom. From here, we were out of the plain and on our way to the Atlantic Ocean and the small settlement of Hondeklip Bay. We were stopping there for only one night, at the aptly-named HonneHokke Resort. 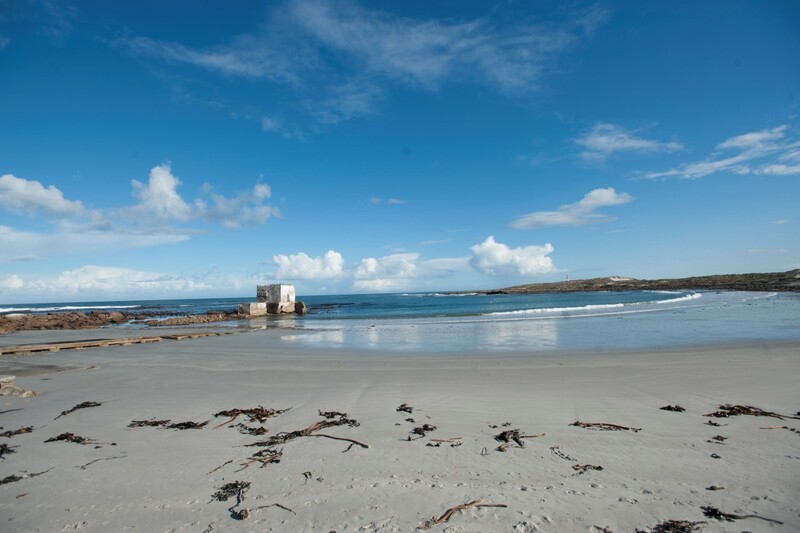 The resort, with its six self-catering chalets, has become a comfortable “must stay” venue on this seemingly barren and harsh coastline. Somehow, out here in the sticks, you don’t expect to sleep under a pure goose-down duvet with white percale sheets… but you’ll be glad of the toasty-warm bed. The prevailing wind off the ice-cold Benguela current can make it pretty chilly at night. 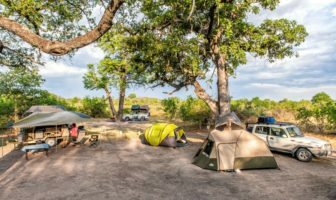 If you are in the mood for camping, the Honne-Kamp consists of 6 camping sites, each equipped with electricity, a water tap, a picnic table and a braai. For the adventurous, there are outdoor showers with a sea view. 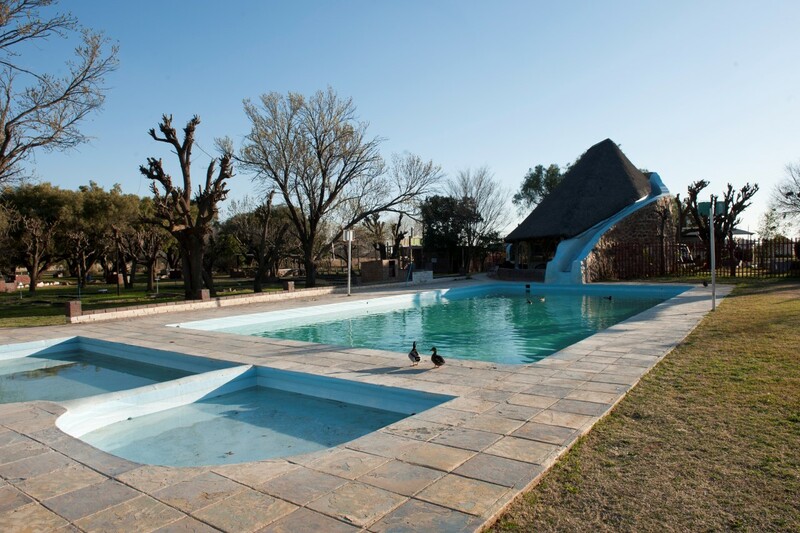 Campers have full access to neat ablutions, showers and to the swimming pool and playground of Honne-Pondokkies. Our trip was drawing to a close. We were heading back on the good gravel road from Hondeklip Bay to Garies, still not hurrying, but stopping to take pictures as we ambled along. The Hondeklip Bay/ Garies gravel road eventually becomes tar before it reaches the N7. The turn-off to the Agama Camp is on this tar road, some 2 kilometres before reaching the main highway. 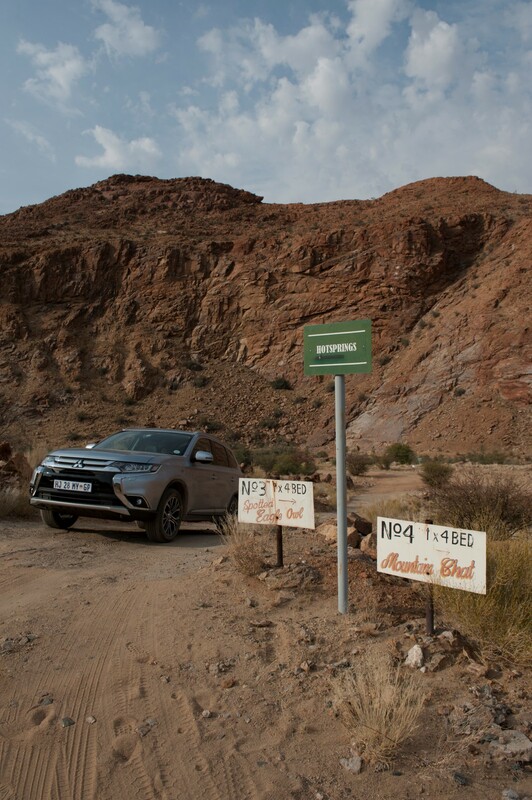 With my windows wound down, the smell of the Namaqualand veld wafted around the Outlander’s cabin. The (approximately) eight-kilometre drive to the camp is spectacular. Driving up to the main building, I could see the dark khaki-green tented chalets dotting the hillside to my right. The Agama Tented Camp is tucked away in a kloof, at the end of a valley surrounded by steep hills, on an 8 000 hectare Namaqualand farm. Each tent has a big canvas-covered veranda, and is on its own large piece of Namaqualand real estate. 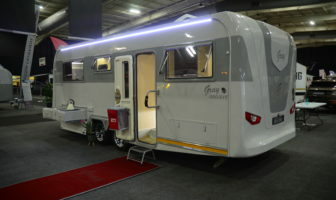 There is a gas heater in each tent, and you’ll find that both it and your paraffin light have been lit when you return to your tent after dinner. If you like really good country cooking, then Agama is the place to visit. Actually, every place we visited on this trip would have me crawling on all fours for a return visit. I had a deadline for returning the car to its owners in Johannesburg, and it was quite a drive all the way from Garies back to the Big Smoke. 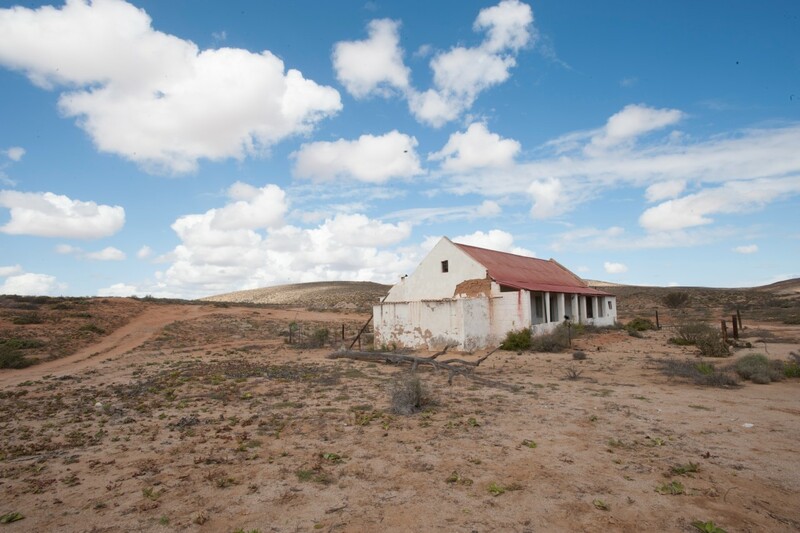 But I had plenty of time to dream of getting back to Namaqualand. 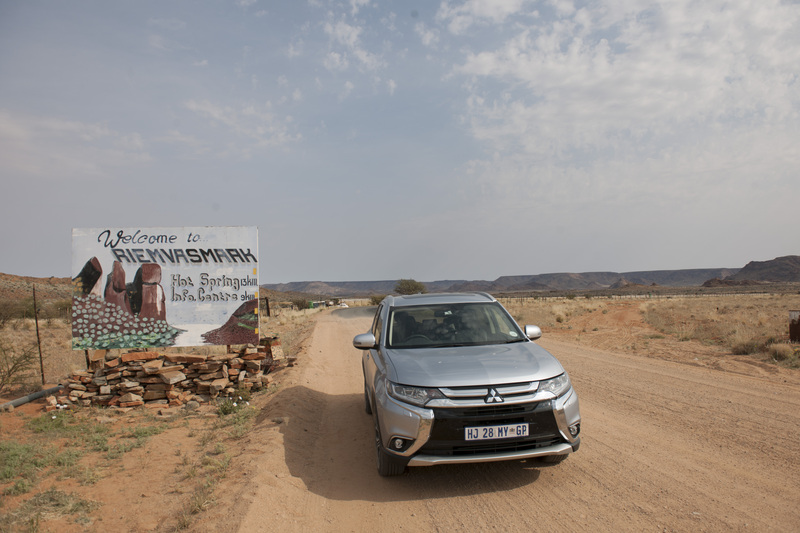 My first impression of the seven-seater Outlander is that (like Namaqualand) it has tons of space. I needed this on my trip for all my camera equipment and camping gear. 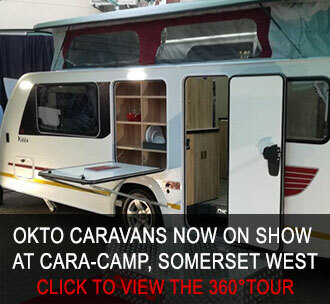 With the rear seats folded flat, I could also have slept in the back − at a push! If you add the Multi Select Four Wheel drive system, ABS, Active Stability and Traction Control, EBD and Hill Start Assist, you ready for anything that this country can throw at you. 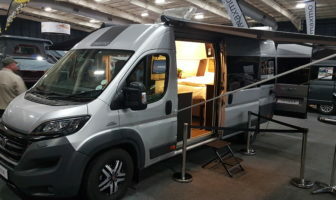 It’s a good-looking vehicle that is extremely comfortable, even on a long-distance trip which included lots of gravel that was both good and bad. I found that the Outlander had plenty of oomph, thanks to its 2.4-litre 16 valve DOHC MIVEC engine. The engine produces 123 kW of power and 222 Nm of torque. The 6-speed auto gearbox, with its Multi-Select four-wheel-drive system and INVECS-III Continuous Variable Transmission, adapts to changing road conditions at the turn of a knob. The Outlander is a fantastic family car. 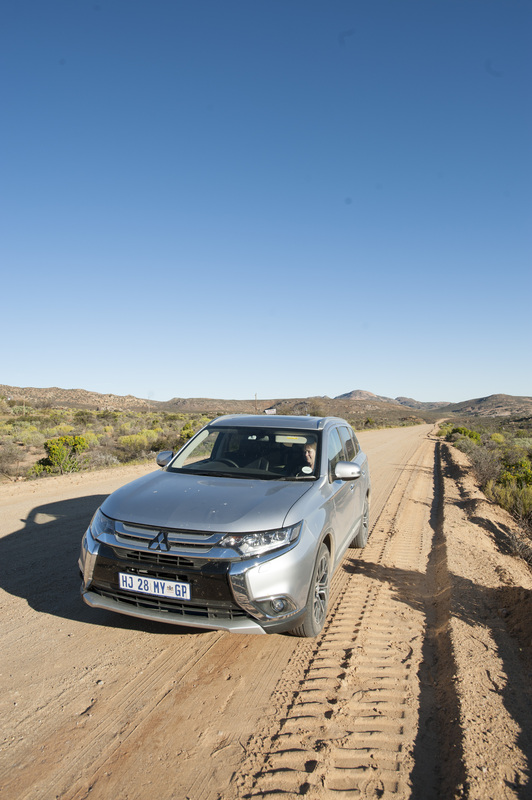 Mitsubishi are known for the emphasis on safety in all their cars, and the Outlander comes with seven airbags and full ISO-FIX child anchors. I really enjoyed this comfortable, well-appointed car, and it was darn hard to hand it back to the dealership on my return to Joburg. For information on where Richard stayed during his trip, grab a copy of the December issue of Caravan & Outdoor Life. 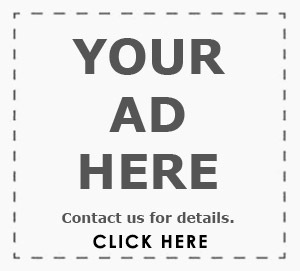 To book an incredible experience of your own, contact Jannie Rykaart of Protea Safari Tours by filling out the form below.